Jefferson Starship's flight was always turbulent. Following a disastrous visit to Berlin in June 1978, Grace Slick departed, and was soon followed by Marty Balin. A car crash that October forced drummer John Barbata to leave too, but the band managed to regroup and release Freedom At Point Zero in November 1979. Showcasing new singer Mickey Thomas and new drummer Aynsley Dunbar, they embarked on a promo tour, playing classics from throughout their career, as well as more recent material. The superb performance on this set was originally broadcasted live around the US on various FM radio stations, including KSAN. It is presented here with background notes and images. 03 Have You Seen The Saucers? 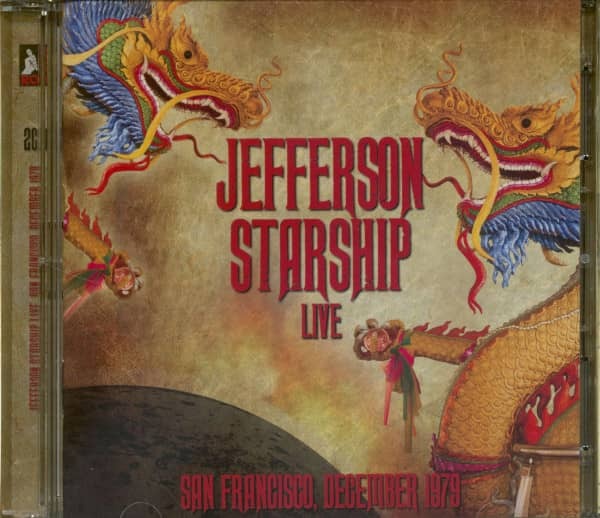 Jefferson Starship ist eine amerikanische Rockband, die in den frühen 1970er Jahren von mehreren Mitgliedern des ehemaligen Jefferson Airplane gegründet wurde. 17 months ago there appeared to be little hope of keeping it together for the Jefferson Starship. There was a tour of West Germany that collapsed into a shambles. It began with a riot when singer Grace Slick fell ill and the band could not perform. It ended after the following date, when Miss Slick "freaked out", in the words of Starship crewman Pete Sears, and quit the tour. The band retreated to its home base in San Francisco "in a state of shock." In recalling those last two disastrous concert dates in Germany, Sears still considers the brace of events as the low point in his career. "I really think the promoter has to be blamed," he says. “We learned later that he had a history of promoting acts that never showed up. So when it was announced to the crowd that we couldn't go on because Grace was sick, I guess they thought we weren't even there, even though we offered to refund everyone's money and return two weeks later. It was terrible, like a war. All of our instruments and equipment were destroyed. We had to rent new stuff for the next concert. But Grace felt guilty about the riot, thinking it was all her fault. So she started drinking, and she just can't do that. She's an alcoholic. What happened was really terrible." The situation was compounded by the decision made by Marty Balin, the Starship's other lead singer. Balin had had it. He never cared that much for touring, and the German riot settled matters. He decided to bail out of the Starship. Without Balin and Slick, two of the most distinctive vocalists in rock music, the group's future was bleak. Yet the Starship found new personnel, regrouped, recorded a new album, and is once again winging on a tour. Six years ago came the disintegration of Jefferson Airplane, which had formed in 1965 and quickly established itself as the elite of the San Francisco acid rock bands. There are those who contend, in fact, that the Airplane qualifies, on the basis of its peak years, as the best American rock band of them all. However, it began falling apart for the Airplane in the early 1970s. Lead guitarist Jorma Kaukonen and bassist Jack Casady were becoming increasingly involved in their new band, Hot Tuna, which began as a part-time project. Balin, whose disenchantment with touring sprouted for the first time, departed. 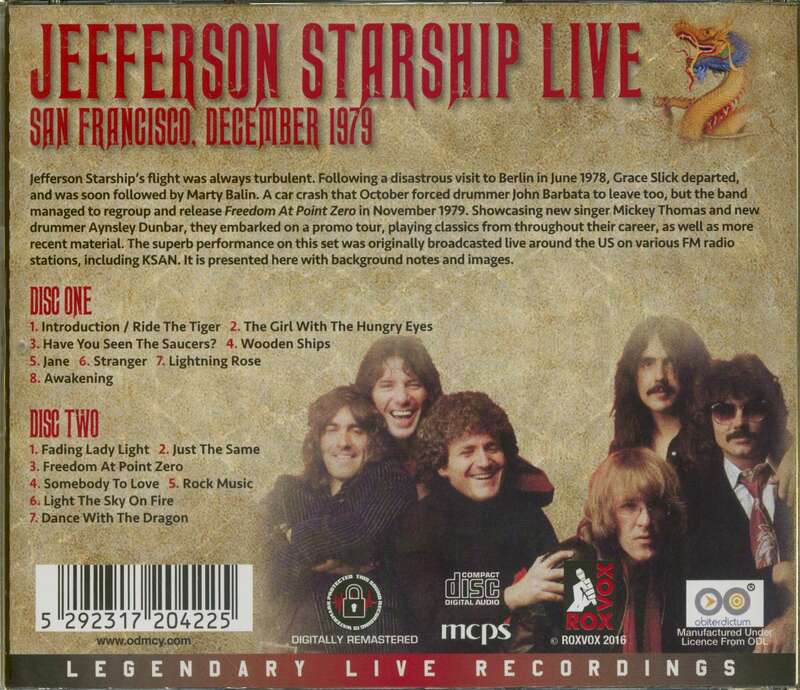 Then, with what remained of the original group, plus a couple of new recruits -including Sears on bass and piano - Paul Kantner (who co-founded the Airplane with Balin) formed Jefferson Starship. Eventually, Balin returned to provide that dynamic one-two vocal punch of Balin and Slick. Backing away from its spacey acid rock roots, the group turned out Miracles, providing the first #1 bestseller for either the Airplane or the Starship. The group was hotter than ever. If the current version of the Starship is to pull off another miracle, Mickey Thomas is the key man. He was brought on to replace Slick and Balin as the Starship's lead singer, and the challenge obviously is no small one. Sears says Thomas was chosen after the group heard his vocal on Fooled Around & Fell In Love, which he recorded as lead singer with Elvin Bishop's band. «A lot of different singers were considered,» he notes. "Yes, there was some thought given to bringing in a new female singer. Paul, in particular, liked that idea. But we finally decided that it just wasn't a good idea." Despite occasional speculation, Sears says there is little likelihood that Miss Slick will ever rejoin the group. "I don't think that could happen now," he says. "You never know, though, but I just don't think so. Grace is in New York now, recording a solo album. I don't think she'd be interested in returning either." Another addition to the band is drummer Aynsley Dunbar, replacing John Barbato, who was seriously injured in an auto accident. The question that comes immediately to mind is: how can the Starship possibly duplicate the vast wealth of material so closely linked to the vocals of Slick and Balin? "Right from the start, we make no bones about the situation with our audiences." Sears says. "We tell them that this is a new band, and what we do mostly is new material. Later in the show we do Somebody To Love as a kind of tribute to Grace. And we do a few other older songs, like Ride The Tiger, Wooden Ships and Volunteers." 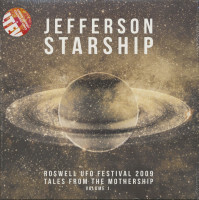 The new Jefferson Starship sound is showcased on the group's new album for Grunt Records, Freedom At Point Zero. And while the public verdict regarding the LP's fate is stilt unknown, Sears says he feels the music is better than ever. "The band's tighter than it's ever been," he says. "Aynsley is such a great drummer, and that helps a lot. 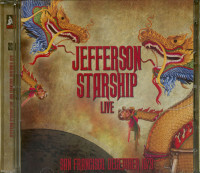 Customer evaluation for "Live-San Francisco, December 1979 (2CD)"